Taekwondo is a martial art and sport included as one of the competitive sports for the Olympics. It is also developing as a Paralympic sport. 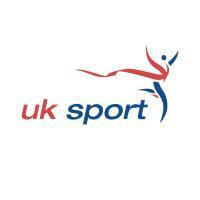 Great Britain has a thriving national squad which is achieving many successes at international competitive events. Pilsung Taekwondo is affiliated to the National Governing Body (British Taekwondo) responsible for overseeing the development of the sport and martial art in the UK. Pilsung has the opportunity to develop aspiring athletes with potential to practice the sport at a competitive level. Taekwondo like many sports can be practised by young people and adults of all ages and abilities and is excellent for promoting health, fitness and flexibility. Taekwondo is a dynamic martial art and sport and is excellent for improving fitness and suitable for individuals and families to socialise with others interested in having fun and developing self-confidence and self-discipline. Taekwondo is practised by adults and children wanting to take grading and progress through to black belt or individuals wanting to get fit or develop confidence. Classes can be adapted to people’s individual needs so please ensure to discuss any particular queries with your instructor. All instructors are fully qualified (with internationally recognised martial art qualifications) with validated instructor certification and in addition The National Governing Body is currently introducing sport/martial art specific coaching qualifications that are recognised by UK Sport. Instructors are also DBS checked and hold relevant insurance cover. The instructor is a 4th Dan Black Belt, holds a Level 2 Coaching Certificate in Taekwondo and is a member of the British Taekwondo Paralympic Committee. Sessions are held in S6 (Wednesday, Thursday and Saturday). intermediate and advanced. All abilities welcome. First lesson is free. 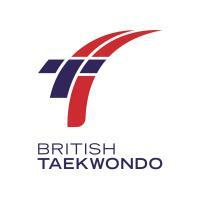 All members need to be registered and insured with British Taekwondo. All students who successfuly pass grading examinations will recieve internationally recognised certification.